John Maynard Keynes is undoubtedly the most influential Western economist of the twentieth century. His emphasis on the nature and role of uncertainty in economic thought is a dominant theme in his writings. 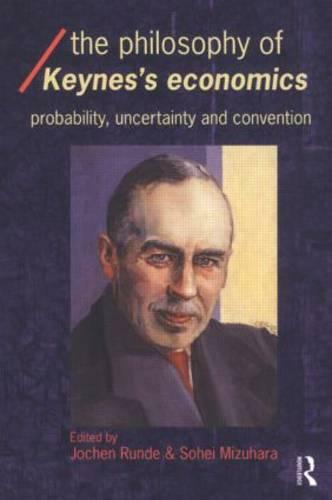 This book brings together a wide array of experts on Keynes' thought such as Gay Tulip Meeks, Sheila Dow and John Davis who discuss, analyse and criticise such themes as Keynesian probability and uncertainty, the foundations of Keynes' economics and the relationship between Keynes' earlier and later thought. The Philosophy of Keynes' Economics is a readable and comprehensive book that will interest students and academics interested in the man and his thought.